Info: Created on 3rd August 2012 . Last edited on 1st August 2014. I like this kind of fonts! Well done! This ten is for you! 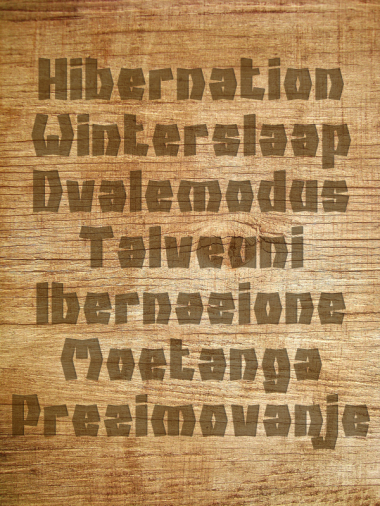 Reminiscent of so many others, yet so different, Hibernation takes "wood" fonts to a new, more refined level. Congratulations, four. 10/10 + fave + TP recommendation. // PS: I notice your problem with the W. Do you agree that the sides should be either straight or with only 2 angles? Having 3 angles gives the illusion of a curve when displayed at small sizes. That's the only critique I have, and a small one at that. Great job, again. Congratulations! FontStruct Staff have deemed your FontStruction worthy of special mention. “Hibernation” is now a Top Pick. @ elmoyenique, p2pnut and demonics:Thanks for your kind words again. I will look at that W! You could flip vertically M,m for W,w.